This Wi-Fi smart security camera, with pan, tilt & zoom, provides up to 340° coverage and captures HD 1080p video that you can view on your smartphone, tablet or PC. Pan, Tilt & Zoom control from your SmartPhone. 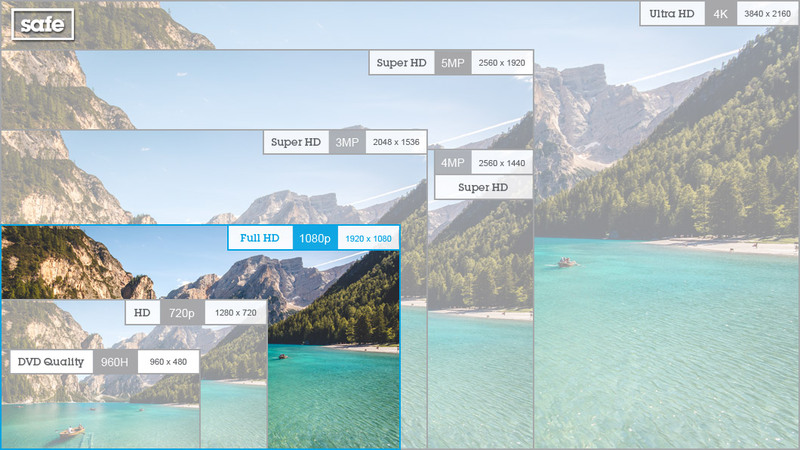 Wide angle coverage with extra-wide 110° viewing. Multiple D-Link cameras controlled from one app. Motion and sound detection triggers smartphone alerts. Snapshots or video clips sent to smartphone and email. Free standing for indoor use. D-Link	The D-Link DCS-8525LH - Wi-Fi Camera with Pan, Tilt & Zoom includes a 110° wide-angle lens, allowing you to see everything instantly. The camera is easy to set up and use, with automatic recordings and real-time viewing via your smartphone, tablet or PC. With high definition video and audio recording, this security camera has expandable storage via an SD card slot (Max 128GB). With night vision and an integrated microphone, this D-Link WiFi Smart Security Camera lets you see and hear whats happening at your property day and night. With easy set-up and functionality, you can be set up and recording within minutes - all you need is a plug socket and a Wi-Fi connection. 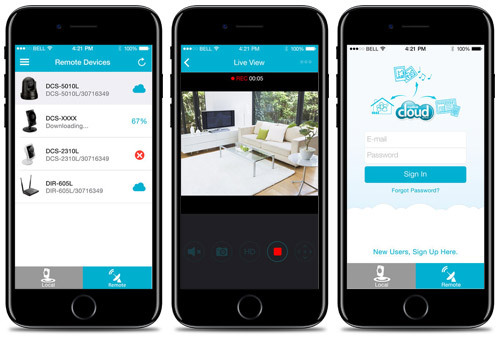 It is easy to view recorded and real time images from your Smartphone or Tablet using the mydlink lite app* (available for iOS, Android) providing your D-Link camera is connected to your internet router via Wi-Fi. You can also view and manage all D-Link cameras through the mydlink website.